Chalk up another win for Facebook’s finances. The company released its third quarter numbers on Wednesday, reporting earnings per share of 25 cents on revenue of $2.02 billion, well surpassing analyst expectations of 19 cents EPS on revenue of $1.9 billion. As was the case last quarter, the high point for the company remains mobile. Mobile revenue accounts for 49 percent of all of Facebook’s advertising dollars, a massive leap compared to just 14 percent in the year-ago quarter. Mobile monthly active users grew to 874 million from 819 million the previous quarter, continuing the shift as users flock from desktops to their smartphones to access the Internet. Overall, Facebook now hosts 1.19 billion users on its platform. The numbers signal another significant win for Facebook, which since its public market debut has striven to prove that it could indeed monetize its mobile platform. Just over a year ago, the company earned little revenue to speak of from its mobile users. As for areas of future user growth — especially internationally — Ebersman pointed to Internet.org, Mark Zuckerberg’s lofty initiative to bring the developing world online. 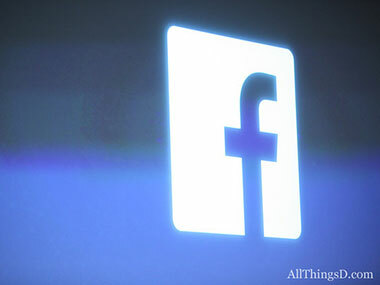 Shares of Facebook surged on the news, up nearly 12 percent in after-hours trading at about $55 per share.